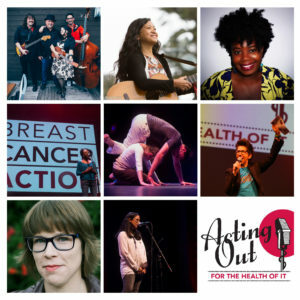 Don’t miss the 6th Annual Acting Out – for the Health of It, our annual fundraiser and variety show March 15 in San Francisco! From dance to comedy, live music to spoken word performances, this will be a fun and provocative evening featuring dynamic performers who share our commitment to health justice. Tickets are available now! If you can’t attend, you can still get involved! Acting Out is a great opportunity to celebrate our shared values as we recommit to the long-term work ahead of us. It’s also a way to connect with and grow our Breast Cancer Action community, share powerful and personal stories about living with breast cancer, and raise the money that makes our work possible. 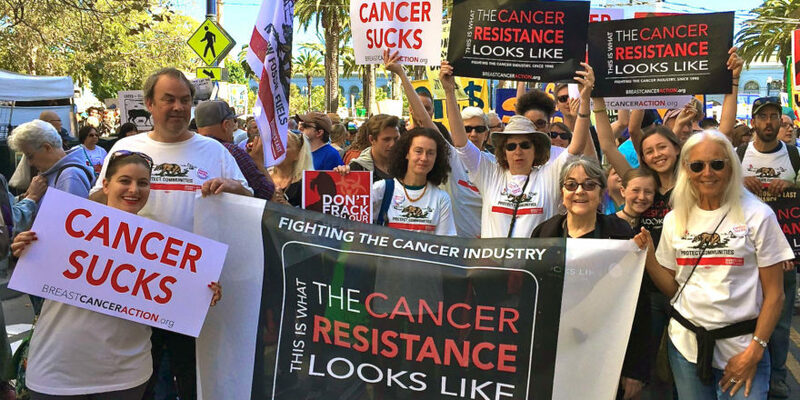 Help grow our community of activists, start a Facebook Fundraiser. We can’t do this work alone and we know a collective voice is more powerful than an individual voice. Ask friends and family to join in the fight to address and end the breast cancer epidemic. Use our online fundraising platform to spread the word about Breast Cancer Action and help raise funds for our programs. Personalize your campaign to tell your story, ask for pledges for a community bike ride, or commemorate a special date and ask for a donation in your honor. Host a get together! Invite close friends and family over to watch your favorite movie or host your own “open mic” and share your talents along with why you support Breast Cancer Action. Ask your community to give as generously as they can to help in the fight to achieve health justice for all women at risk of and living with breast cancer. We’ll provide you with materials. If you have questions or want to discuss an idea, please contact me at lpal@bcaction.org. If you can’t join us at Acting Out in San Francisco this year, we hope you’ll join us by hosting an event in your community or launching an online fundraiser. Raise over $500 by March 31 and you’ll be entered in a drawing for a chance to win one of three great prizes, including a copy of So Much To Be Done: The Writings of Breast Cancer Activist Barbara Brenner! P.S. If you’re on social media, be sure to share photos of you Acting Out with us on Facebook or Twitter! Use the hashtags #ActingOut #ForTheHealthOfIt and tag us at @BCAction.